there once was a guy named jason…who fell madly, deeply, and fiercely in love with a girl named lynsey. and these two…well they decided they wanted to be farmers. and so they did. 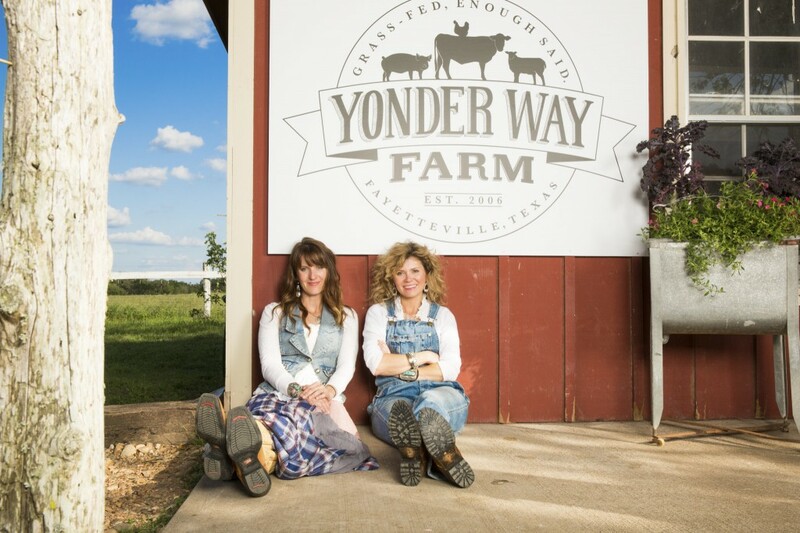 YonDER WAY FARM is an organic meat farm here in fayette county….where the only thing better than their homegrown organic goodness is the authenticity of their hearts and their lives. they believe in honesty. in hard work. in dirt under your fingernails. in getting up at sunrise with the chickens and then making sure all the animals are tucked in safely at sunset. and most importantly, they believed in good things and in being good people. 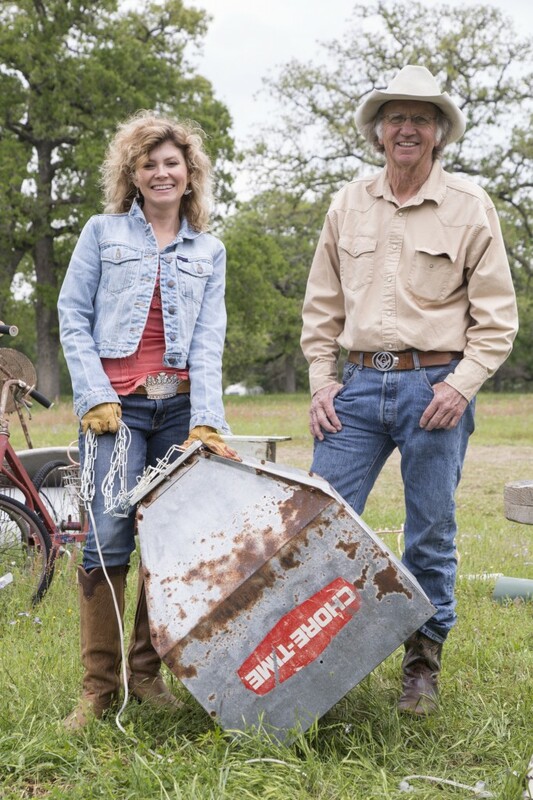 i absolutely CANNOT wait for y’all to meet the kramers of YONDER WAY FARM on this week’s episode of junk gypsies. because we know that y’all are going to love them just as much as we do. jason, also known as @yonderwayfarmer, and lynsey, aka @fivechicksandafarmer, as they are known to their legions of instagram followers. (if you don’t follow them on instagram, let me tell ya…you are missing out!). 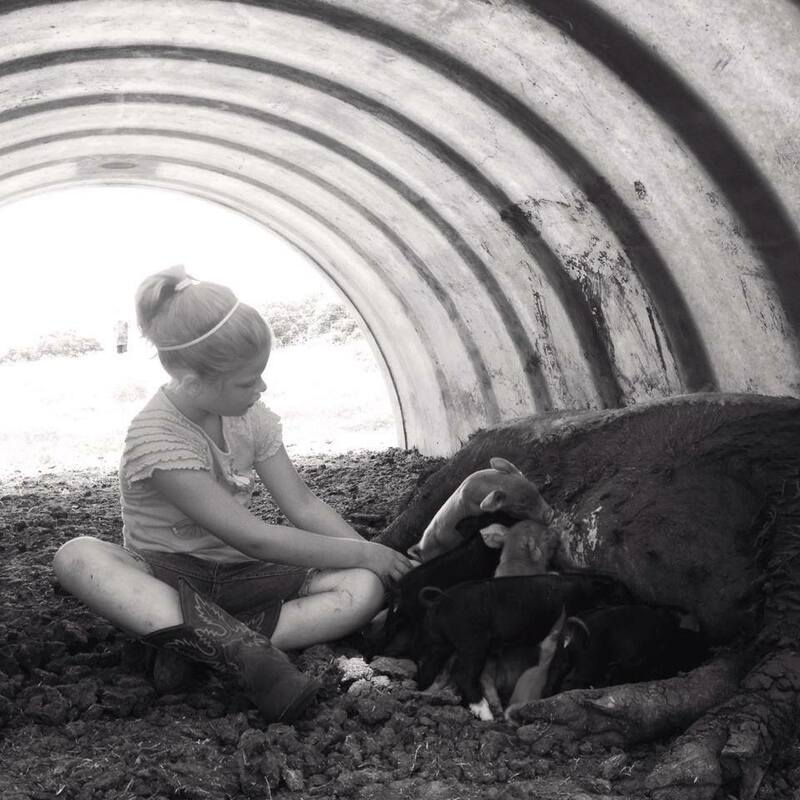 and of course their 4 little chicks…kk, laney rae, ruthie, and exie jo….all make up yonder way farm. this farm is their dream. their passion. this is the good stuff, y’all. we are proud to call them friends and country neighbors. 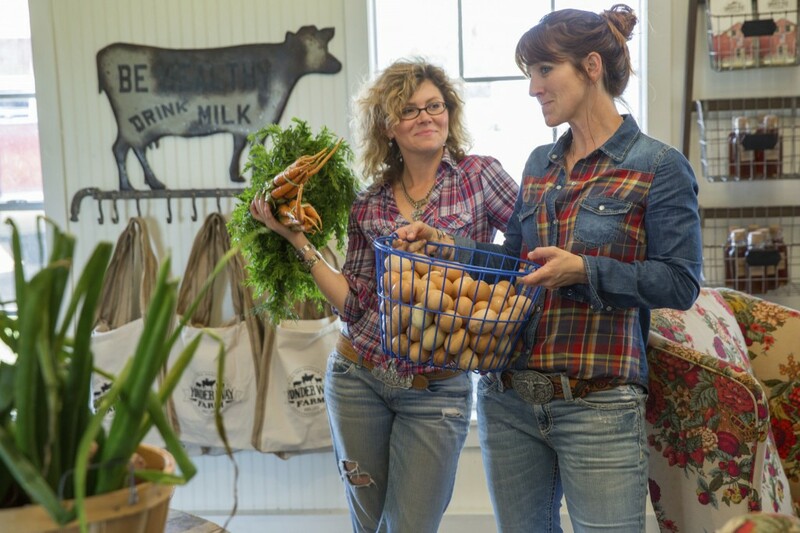 this week, you can watch as we visit YonDER WAy FARM, dig around in the barns for all kinds o’ lost junk, and give them the farm store they so deserve! and oh yes, we did….because who could resist? 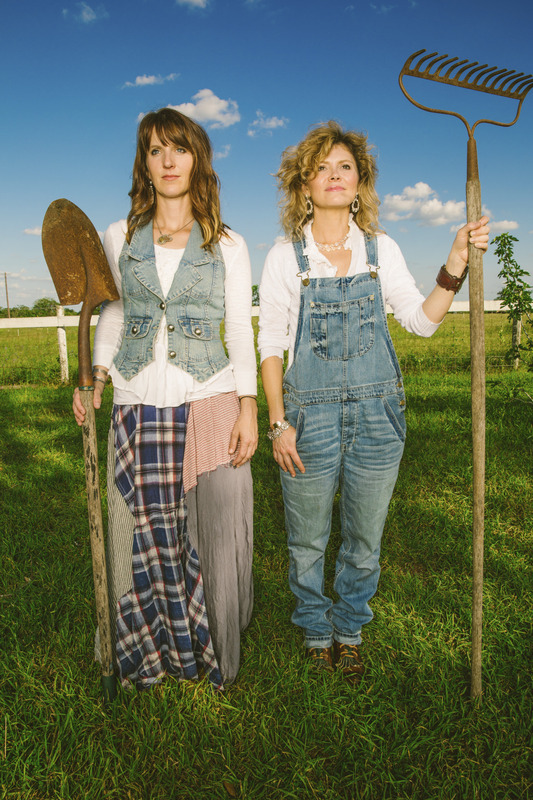 american gothic…yonder way farm style. 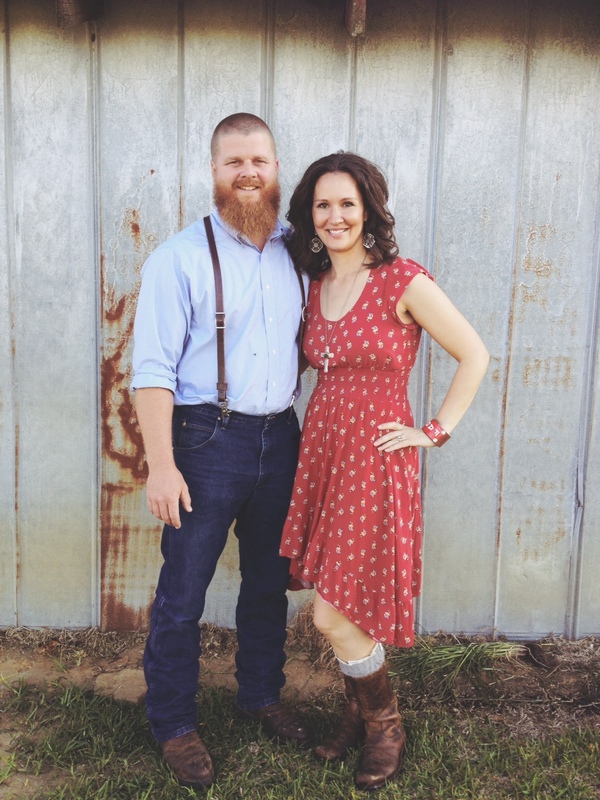 we’re so excited for y’all to meet the kramers and to see the transformation of their country store this week! 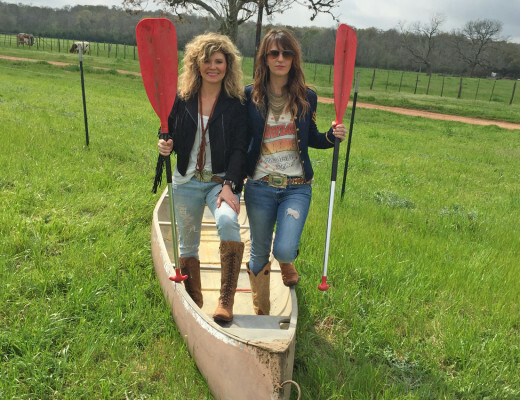 tune in this thursday, AugUST 7…9/8C on GreaT AMERICan COUNTRY! watch the sneak peek here!!! and go catch up with the fam on facebook and instagram for all kinds o’ homegrown happiness! yes He did. GoD made a farmer. and GoD bless those farmers. and finally…thanks to april pizana, lynsey’s instagram & matt blair for these pics!!! I love you guys and I can’t want to see the episode about the yonderway farm. and the beautiful couple with their girls. I know them already!!! LOVE their products!! They deliver to me once a month!! !MMMMMMMMMMMMM nothing like farm fresh eggs!!! 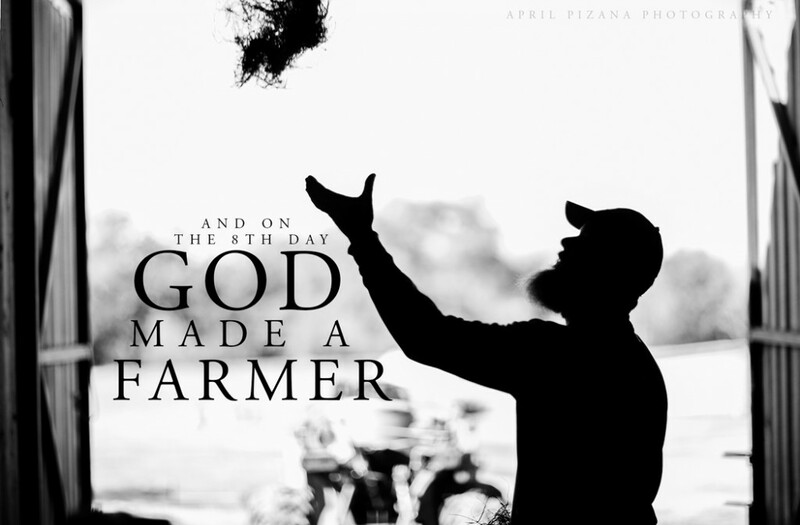 God Bless the Farmer! Been married to one since 1987;) Looking forward to hearing about Yonder Way Farm! i wish to be ya’ll………i’m wanting to get back to my country roots of Kentucky…so awe-inspiring,,,,can’t wait to watch tonight, i NEVER miss an episode,,,,maybe it’s time for a road trip to Round Top!! I’ve been studying food sources for several years. So glad your all on board! Thanks!! So stunning and heartwarming ! I loved falling in love with this sweet family! Talk about going back to the basics and what really matter, family, life, home, hard work and tender love. I love the simple decor of life, no phones, no internet, no clocks! Just the raising and setting of the sun! Could you please find a little house for me? I’m ready to move! 🙂 Such a beautiful family and I love that they want to raise their girls in a kinder, gentler manner. I so wish I were closer! Can’t wait to see this episode. Im gonna love this show .cant wait till 8 pm .will be in front of the tube planted like corn.thank G-d for Farmers. will be looking for it will have to tape it just in case we don’t get home from church in time. Looking forward to this weeks show and God bless the farmers cause I grew up on one and they are the best. 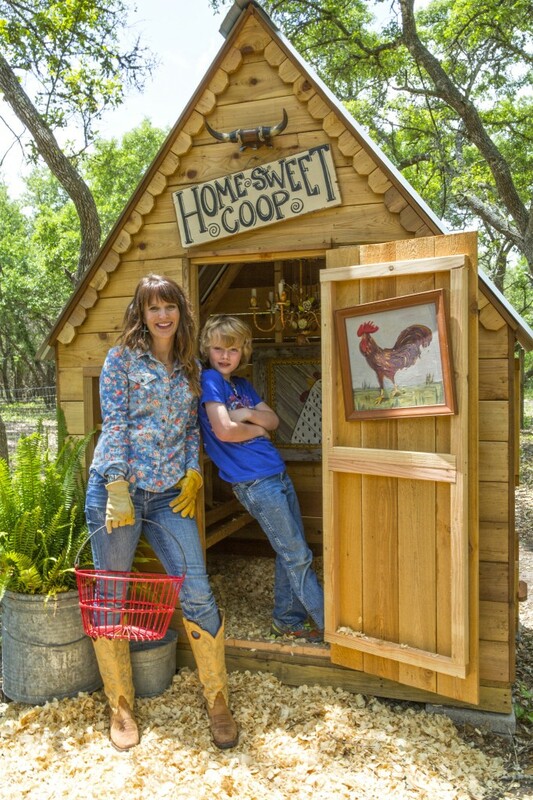 Can’t wait to see the new episode, and so LOVED reading about this sweet, farming Texas Family!!!! You are all the real thing. What you see is what you get and your amazing. I watch your shows over and over again and love everything you do. Saving my Social Security money to come visit you all with my daughter who loves you too! 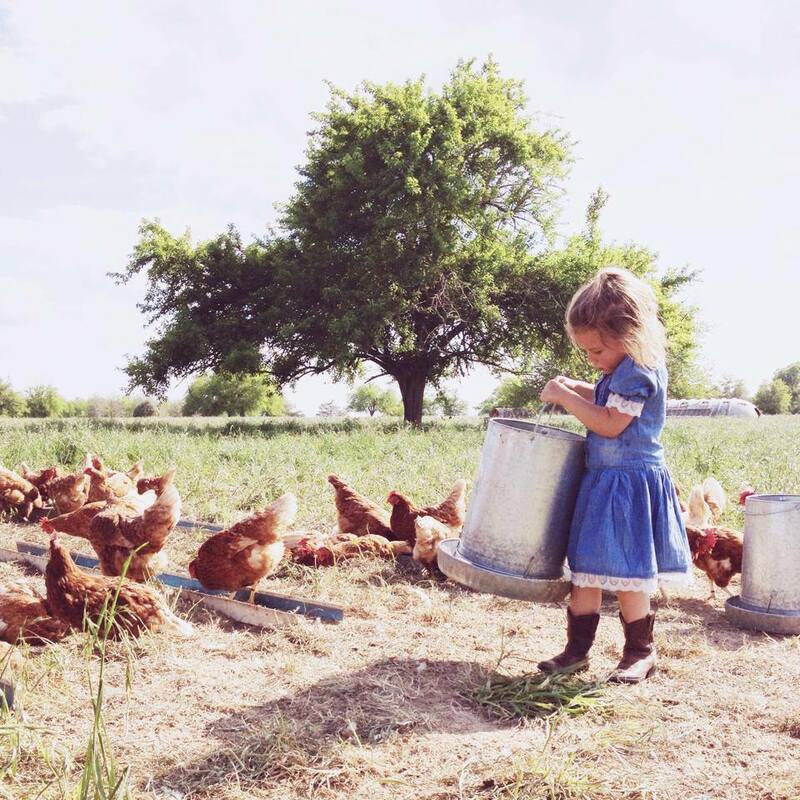 Maybe she will find a wonderful farmer like the gentleman at the yonder way farm. Thanks ! 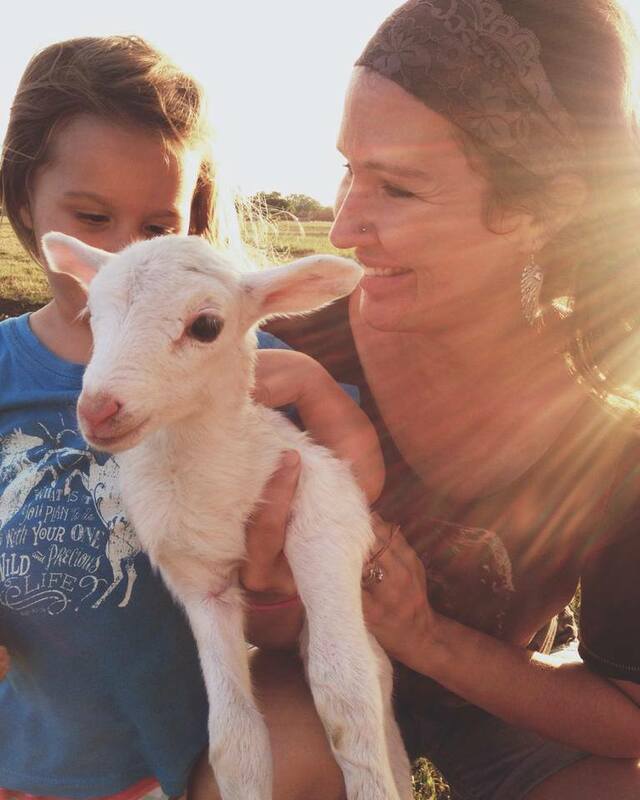 Love, Debbi D.
I follow YonderWayFarmer and Five chicks and a farmer on Instagram! I love them!! I love their hearts and their pics of their beautiful animals and land!! God Bless y’all!! 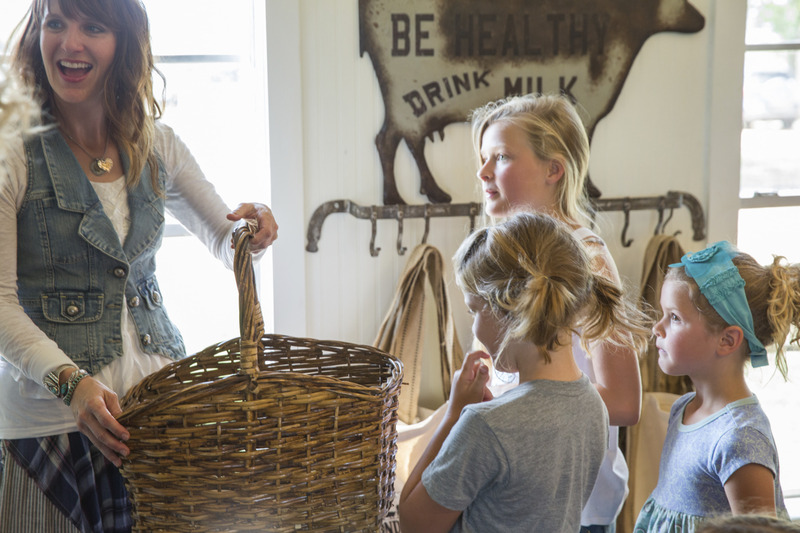 Love the name Yonder Farm, it is very fitting for a much gentler time of yester year. 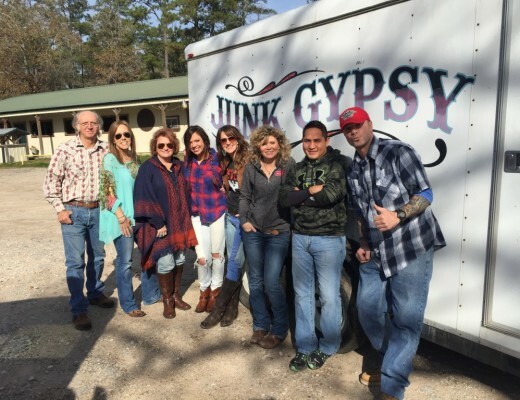 Love the Junk Gypsie family, and all the talent they have for turning junk into treasures. Blessimgs for continued success, and encouraging the Importance of the American farmer. 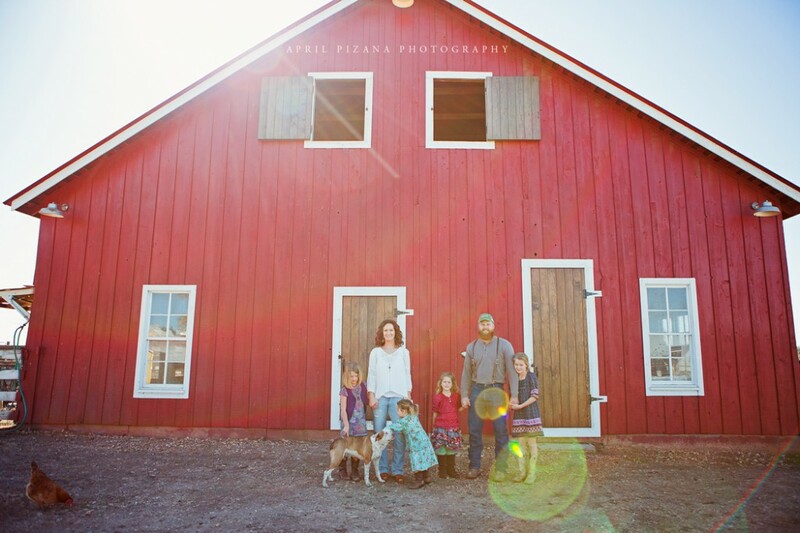 love love love the photos of the farm! 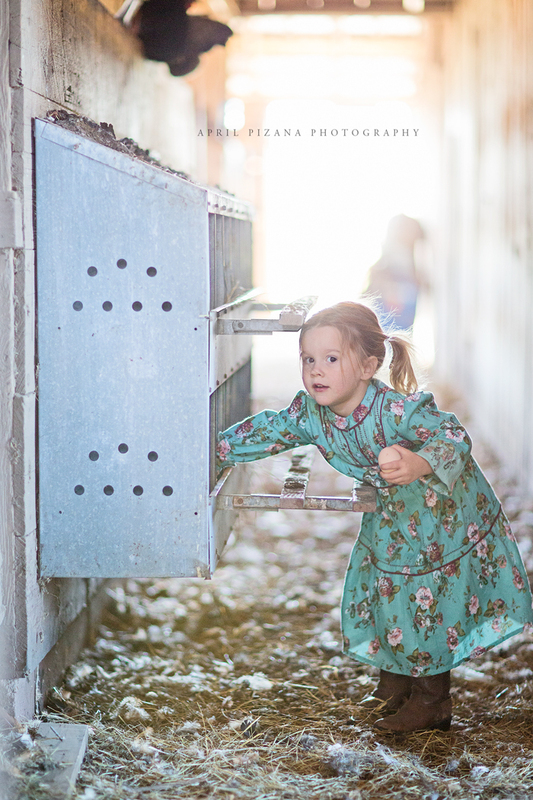 what could be cuter than baby pigs and little girls? heartwarming! inspirational! adorable! can’t wait to see tonight’s episode!! i left the corporate world to move to a slower (& more meaningful) way of life in marfa supporting GO TEXAN. Go Local. w/the tx dept of agriculture & salvaging on the side :). y’all are my heroes & this family is absolutely precious! i just love this show so much and all the creative beauty and heart you guys put into thsi makes my heart warm and my eyes tear up. I miss watching this show so much. I had the GAC channel for a while then lost it. I still follow your gals blog and get emails . at least i can see everything on here and pinterest. -cheers: to another successful season! I really love watching all you guys do and I am a really big fan of Miranda Lambert. Can’t wait to see tonights episode about the farmer family, they all look so sweet, keep up the great show we all love it !! 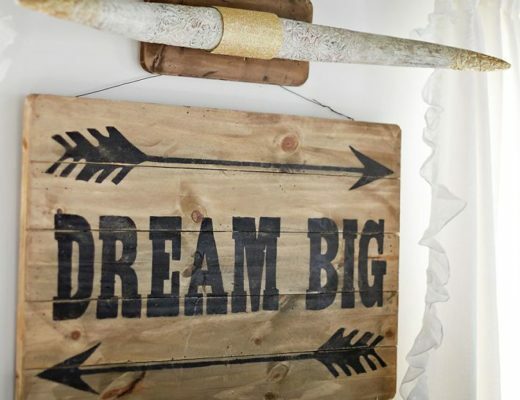 If all could follow their dreams it would be surprising how many of us would do this. Maybe not as classy butcwe would. Oh what a healthier, sweeter, wonderful world it would be! The show just gives us quick glimpses of all the neat things you create. What if your blog could post a lot of stills of the show so we could look at at all the Junk Art at our own pace? Thank You! I truly want to visit Round Top soon!! Saw the Yonder Way Farm show last night. Absolutely loved it and them! I love your show: you gals are the best, and can’t say enough good stuff about your family. Finding you on GAC has been such a treat. I don’t miss a show, and watch all the repeats as well. I wish you many blessings for continued success. I am so sad I live on the west coast and loved this show when it was on here now we do not have it offered. I have searched a bunch of times to see if it pops up but nothing. Is there somewhere I can go to watch the episodes? I saw the show and wished I lived closer to be able buy from the yonder way farms, but Iowa is a little far. I just love your show and I was wondering how the new little chicks are doing. 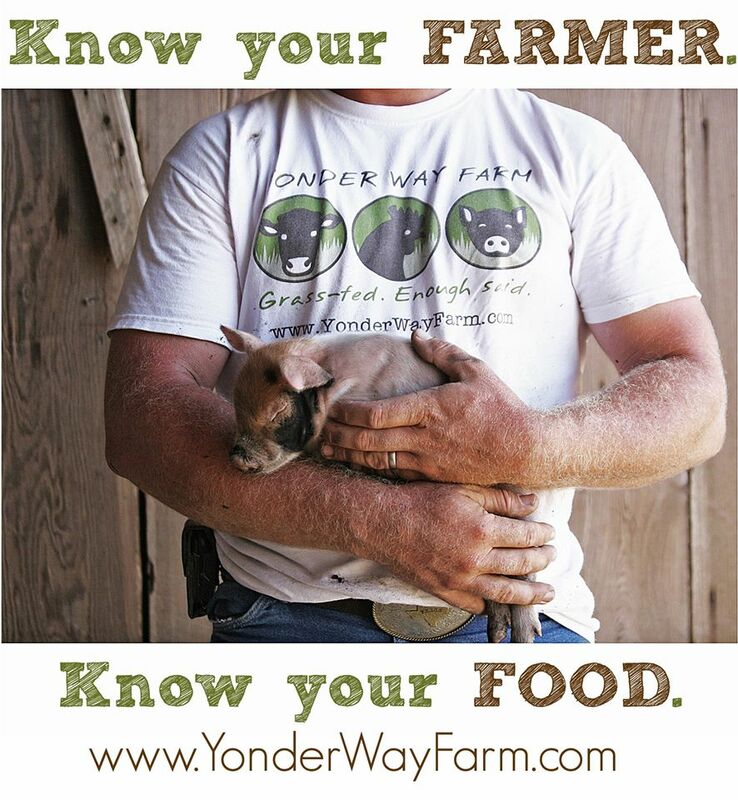 I am going to check out the Yonder Way Farms website. 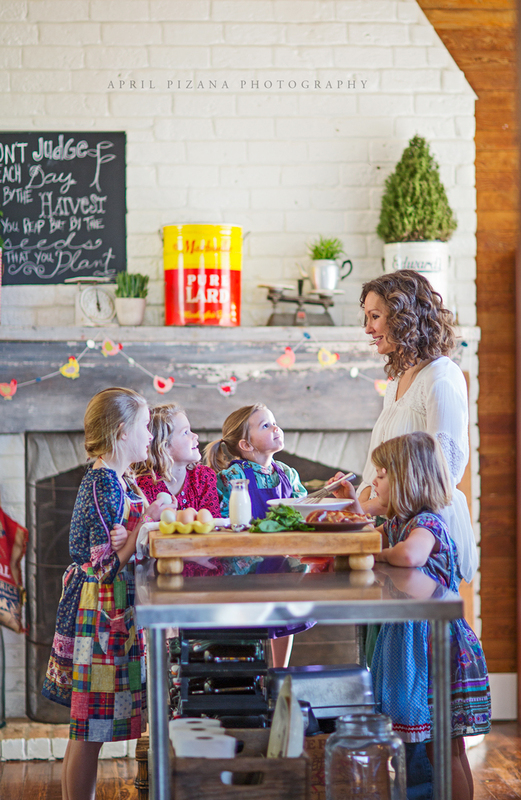 Holy smokies – is that a Marhofer’s Pure Lard bucket on their mantle (red and yellow bucket in the picture with Lynsey and the chicks)? That’s awesome to see being a Marhofer and all! Lovely farm and family. Will have to stop by the store some time! I think the Junk Gypsy program is the best i’ve seen in a long time. It is the most informative and educational in what they do. I do laugh at some of the things they do,but you have to admit-everything comes out great! 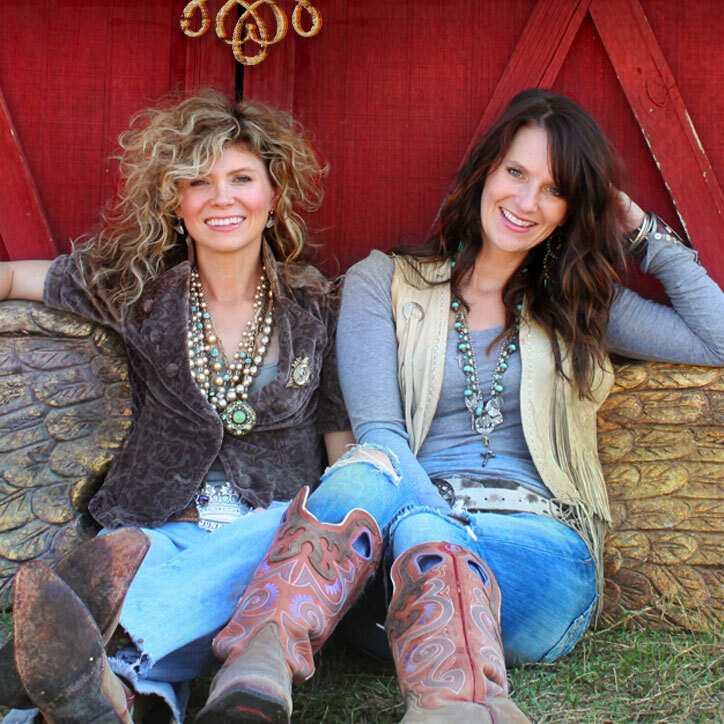 Keep up the great work girls and i too would love to go to “ROUND TOP” to visit your shop! Thank you…..